After enduring government-mandated power blackouts, shortages of medicine, standing in line for food, and rampant crime, Venezuelans were standing in line last week for a different reason: to validate their signatures in an attempt to force a referendum to recall President Nicolás Maduro. The situation in Venezuela just seems to keep getting worse and worse. With the IMF predicting that inflation will hit 500 per cent this year and 1,600 per cent next year, things are looking dire. But after enduring government-mandated power blackouts, shortages of medicine, standing in line for food, and rampant crime, Venezuelans were standing in line last week for a different reason: to validate their signatures in an attempt to force a referendum to recall President Nicolás Maduro. How did things get so bad in this oil-rich country? Well, the drop in the price of crude hasn't helped, but to blame it all on that is to miss the deeper reasons for the country's misery: misguided public policies. As my colleague, economist Mathieu Bédard, pointed out in a blog post last month, the shortages of basic goods that Venezuelans have been experiencing were entirely predictable. They have nothing to do with political opposition to Chavism, as the regime and its apologists like to claim, or even with falling oil prices. After all, serious shortages occurred in early 2014, when oil prices were still hovering around $100 a barrel. Instead, the shortages are the direct result of economic policies adopted under the late Hugo Chávez and his chosen successor, Maduro. One of the basic topics covered in any Economics 101 course is the effect of price controls. If a maximum price is set by the government, and if this price is set too low, store shelves will quickly empty. In other words, there will be a shortage. Chávez and Maduro applied price controls to more and more goods: food, drugs, health care, diapers, and toilet paper -- all goods that are currently in short supply in the country. But even this doesn't get to the bottom of the issue. As PanAm Post publisher Luis H. Ball explained in this engaging interview, Venezuela has been on the road to ruin since 1974, when the statist government of the time started nationalizing industries left and right. By the time Chávez was first elected, the country was already in crisis. Between 1948 and 1961, Venezuelans had a higher standard of living than Canadians. 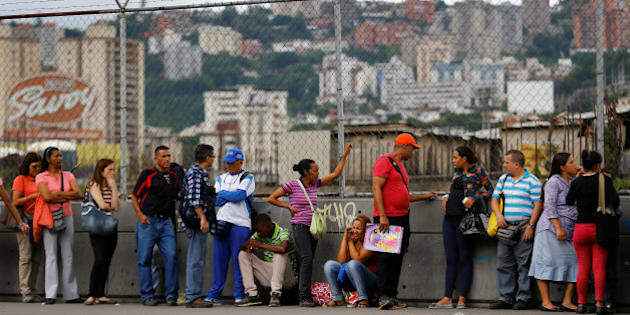 But instead of righting the ship, the policies of the Chávez government exacerbated Venezuela's problems, interfering with the market even more than his predecessors had -- all in the name of helping the poor, of course. Luis Ball left Venezuela after having been falsely accused of civil rebellion and treason for having defended civil and economic liberties as the head of a trade group. Even though these charges were eventually dropped, he decided to remain in the United States for family and safety reasons. As a New York Times editorial argued last week, regional leaders should take a strong and united stand against Mr. Maduro, if there is to be any chance of keeping Venezuela's crisis from growing. International pressure to urge the government to hold a recall referendum sooner than later might be just what is required to start to bring the long Venezuelan nightmare to an end. Ultimately, what is needed is the emergence of ideas and reforms based on individual liberty and economic freedom, including respect for private property. The government has to stop controlling prices and get over the notion that nationalizations, repression, and throwing businesspeople in jail are the solutions to its problems. People should not be treated like livestock. Between 1948 and 1961, Venezuelans had a higher standard of living than Canadians. In the early 1970s, the standard of living was about the same in the two countries. If it is to get back on the road to prosperity, there's no way around it: Venezuela will have to adopt sound public policies.